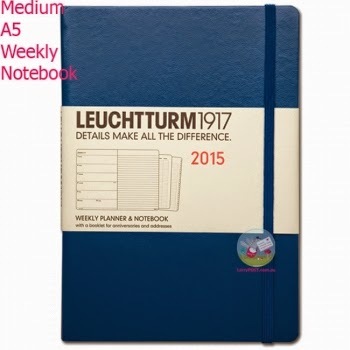 By the way, do you know the trick to working out whether it is stationary or stationery? A useful mnemonic for those who need to know, my fellow fans of paper and pen. Today I unwrapped my new diary for next year. It's the same as last year's, but royal blue instead of cornflower blue. The specs: A5, a week to a page on the left hand side, a page for notes and lists on the right hand side, ribbon to mark the page, loads of blank paper at the back, hard cover, pocket in the back, elastic doo-dad to hold it all together. Not cheap. You could get multiple Collins diaries from the newsagent for the price of this one. But it is worth every cent. A page to a week is perfect for me. 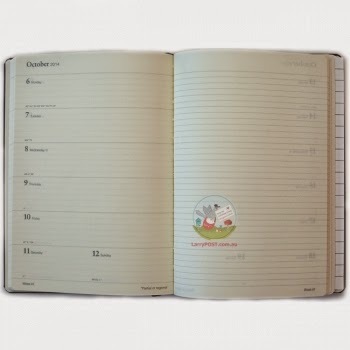 I need to be able to see the whole week ahead - it helps me to plan for seven sensible and manageable days at a time. There is enough room to record an event for the morning, one for the afternoon before school finishes, one for the afternoon after school finishes and one for the evening - four events per day if so needed. And if I need more room than this for planning out my days I figure I need to reassess my life, not my diary format. I'm pretty sure I haven't read anything from the pen of GK Chesterton, but I stumbled upon this quote doing the rounds a little while ago and I love it. And it's personally helpful as I find myself emerging from a time when thankfulness has not been my strong card, at least not in some quarters, and discovering I need to relearn the art. You say grace before meals. Alright. # 1 If you want to use the joyfully expanded version of the Made by Joel nativity scene but want to save card and also time at the photocopier it is possible, with some cutting and pasting old school style (you know, scissors and glue), to fit everything from the three sheets onto two pages. # 2 The bypass feeder on the photocopier actually takes a small stack of card and feeds it in all by itself. You don't have to hand feed every single one of the 140 sheets of card individually. That gets the job done in about a billionth of the time it takes to hand feed individual sheets and then press the copy button 140 times. New stuff for Sunday School. Well, new to me. 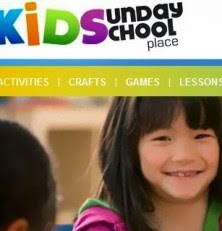 Speaking of new things I'm loving, I stumbled upon an online Sunday School curriculum called Kids' Sunday School Place. I was looking around for a few lessons about the Bible - 66 books, two sections, different genres, good for training and making wise and so on - and came upon this site in my search. Kids' Sunday School Place offers a number of complete units online for free - some from each of their range of Old Testament, New Testament, topical and special occasions categories. If you want to access all of the units there is an annual membership of $US39, which seems a pretty small price to pay. I haven't looked right through the site yet but what I have surveyed - and trialled - has been superb. Great lessons which include good introductory activities, a fantastic little Bible study (I'm a big proponent of getting kids to look up real verses in the real Bible at Sunday School), follow up activities including work sheets, games, practical activities and crafts (usually a couple of substantial activities to choose from) and good back up materials including all the necessary blackline masters. I've just finished the "about the Bible" unit and in a week or two will head into some of their Christmas lessons. Very happy. I like their approach. A lot. Now speaking of Christmas, and Sunday School, here is the most amazing thing. 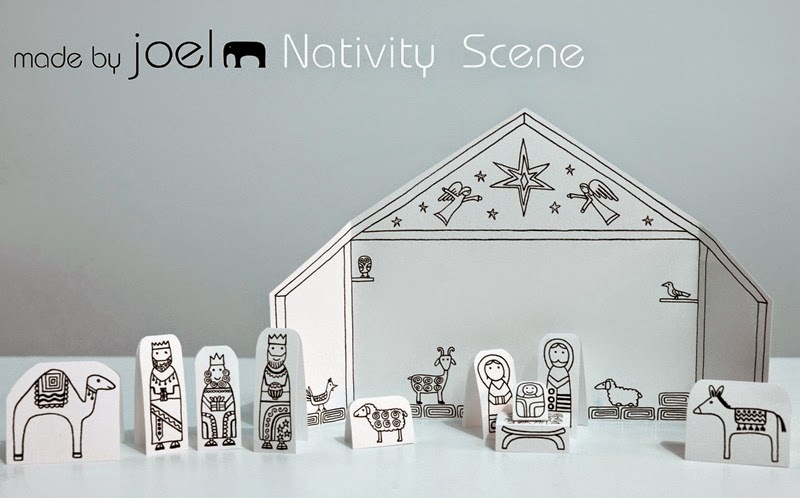 A cardboard cut out nativity scene. I used this in Sunday School last year and am taking it to my Scripture classes this year. It does require a bit of patience to hand feed endless sheets of card through the photocopier...but so worth the investment in time. You can get the original nativity scene or the joyfully expanded nativity scene and even the travel size nativity scene. And when you are done with Christmas there are loads of other cool things to be found on this site to keep small (and big) people amused for hours.